Why Use a Drum Rack? What To Look For in A Top Drum Rack? Drum hardware can be a bit of a minefield, especially if you are a beginner or are new to the world of drumming. 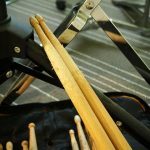 We’ve reviewed the best drum racks in this article to make this decision slightly easier for drummers who are weighing up whether yo use a rack vs stands, or who are looking for the top rack for their money. 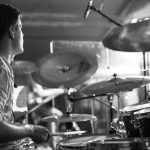 There are a lot of benefits to using a drum rack but as they are such an integral piece of kit, and the framework for your drum set, you need to buy the right one. For big drum kits, this powerful, sturdy rack from Pearl is a wonderful option. 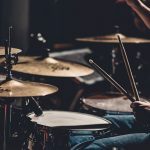 With a high capacity for lots of toms and cymbals, this is popular with drummers in lots of different genres including rock, metal, jazz and more. Pearl is a brand name we’ve all heard of in the world of drumming, and their racks are up there with the very best. “Solid as a rock” is one of the terms that has been used to describe the Pearl DR503C, with some drummers reporting that they have had decades of use out of theirs with no problems. 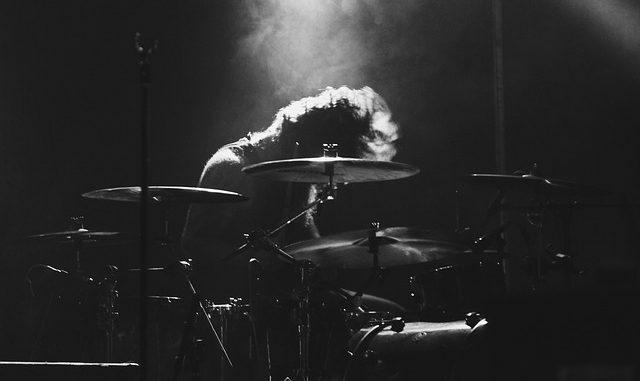 If you’re regularly setting up for gigs and practices then this will save you a huge amount of time as it is easy to quickly get your drums set up. This rack is easily expanded with clamps and boom arms, and is perfect for single and double kick players. The amazing build quality goes a long way to justifying the price. This isn’t the cheapest rack out there, but it definitely deserves being mentioned as one of the very top models. This is a drum rack which is actually on the lower end of the price range. Gibraltar is a brand with a lot of different drum racks available but their ‘stealth’ system is a clever and minimal approach. It is a different approach than some of the other racks as it is designed to keep the drums cleverly compact while also comfortable. This wouldn’t be achievable with stands, and I guess is why they’ve called this rack the ‘stealth’. It is made of durable chrome-plated tubes which are perfect for staying in place but also not weighing too much as they are hollow on the inside. The rack is designed for snares, toms, cymbals and more and is very flexible. It has a mount for cymbals and a snare basket mount, but the cross-bar connection is the perfect spot for mounting your toms and other drums. 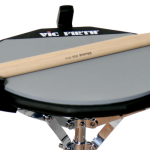 It has a larger end which is perfect for both single and double tom arms. As well as this, there is a more advanced model, the GSVMS-KIT. This has the same features but also offers a tom arm and a snare basket, so it is a more complete solution than its sibling. The clamps and booms compatible with the Gibraltar kits mean that you can expand the capacity and customize the rack to your own exact needs, but for most players, the drum rack will be perfect as it is and not require any expansion. A huge amount of positive reviews online show that the drumming community certainly thinks a lot of this rack. Another brilliant offering from Gibraltar, this is another incredibly sturdy product which is compact enough to ensure you don’t have stands getting in each other’s way. Plenty of space for toms and cymbals, there’s a lot less to carry around. The Four-post design has curved horizontal bars wrap designed not to get in the drummer’s way but to have plenty of room for all of your hardware, drums, and even accessories. This can be used in a single bass or a double bass setup with equal amounts of ease. Gibraltar tend to specialize more in drum stands, racks and other hardware such as pedals than the actual drums. It really shows if you start to look around for any sort of hardware, as their brand will likely jump out at you. In truth, it is very hard to beat Gibraltar for build quality and reliability. A drum rack is basically an alternative to using individual drum stands. By using a drum rack, you are able to house multiple parts of a drum kit rather than having to organize them on their stands. Drum racks are great for convenience, if you are in a band and you have to transport your drums then individual stands can be a pain, whereas having your snare, toms and other drums all on the same rack takes this hassle away. Setting up and packing down drum stands can be an annoyance. The simplicity isn’t just for drummers with small drum sets. You can have six, seven or eight-piece kits easily set up and ready to play in a matter of minutes, simply get your toms and cymbals out of their cases or bags and set them up on your rack. Another reason some people have reported that they use drum racks is the fact that it can save money. If you have drums without stands, buying a load of stands can be pricey. If you buy a drum rack you can kill two birds with one stone and build all the costs into one. There has always been stand vs rack debate, and we’re not saying either is necessarily better. So what are the criteria we’re looking at when reviewing the best drum racks? Do we want cheap drum racks or just the very best? Are there things to avoid when making your choice? We’ve listed what we look for in a drum rack below. Sturdy. This almost goes without saying, a drum rack needs to be sturdy, it will be holding a lot of different drums and can’t be liable to breaking or collapsing as this is a nightmare for any drummer. Luckily, there are some very durable and sturdy drum racks on the market. As well as being sturdy in terms of not breaking, we also need a drum rack that isn’t going to move around while playing and is reliable during performances. Price. We’re not only looking for cheap drum racks but the price is a consideration and it is only natural that people want value for money. Expandable. Drummers like to evolve and add more to their kits. This is only natural, and you don’t want to be restricted by your rack. Fortunately, many drum racks have the option to add arms and extensions without having to buy a totally new rack. This is another thing we’re looking at in our drum rack reviews. Flexibility. Whether you are a double bass style player or have 8 cymbals, you want a rack that has a bit of give and flexibility both for transporting and for your comfort when you are playing. Some racks hold up to 14 different pieces of drum hardware! There aren’t as many manufacturers of drum racks as there are of drums, but brands such as Pearl and Gibraltar have a rich history and inevitably have some very good offerings in this space. Drummers all want something a little different. 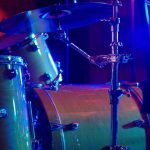 Musicians are all unique and of course having options for expandable capacity and different drum setups (single bass and double bass for instance) is a great help for drummers. The three options we’ve reviewed here give something for everyone and can be customized to your own unique needs. If you have any experience with drum racks or feel we’ve missed models we should be recommending, leave a comment below and we will be sure to get back to you.